If you love a great bread with your cup of coffee, give this gluten free cranberry bread with chocolate chips a try. You can also watch my simple video to show you how easy this gluten free cranberry bread is to make! This delicious moist gluten free bread is gluten free and dairy free! Cranberries are in season and I am so excited to start making my favorite cranberry recipes! Thanksgiving is around the corner, and I wanted to make a healthy, but delicious gluten free and dairy free bread for breakfast. 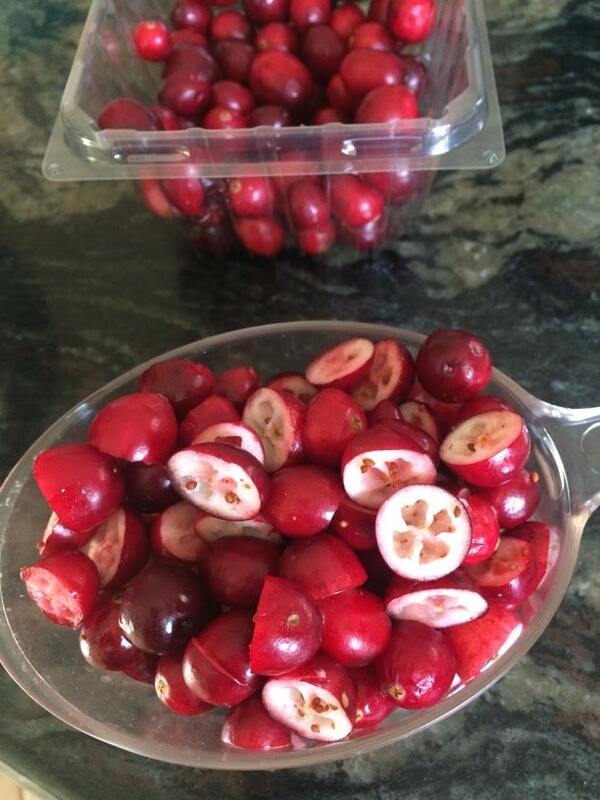 Cranberries are full of vitamin C and antioxidants to keep you healthier. This gluten free cranberry bread is perfect with a cup of hot coffee. If you are a coffee lover too, here are three more mouthwatering breakfast bread to try! Gluten Free Pumpkin Caramel Loaf, Gluten Free Matcha Green Tea Banana Bread, and Gluten Free Black Sesame Banana Bread. Gluten free cranberry bread is healthy, moist and delicious.! 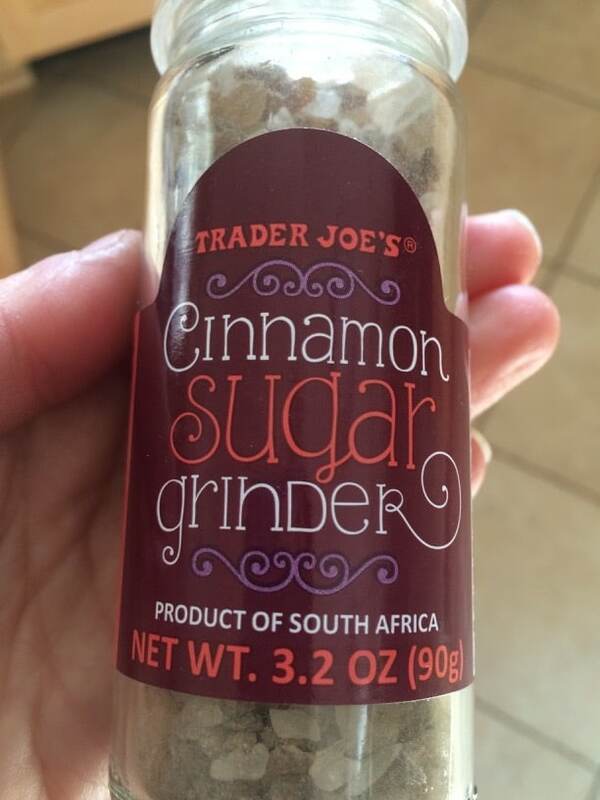 I used coconut sugar so it is lower glycemic too. No guilt for eating this for breakfast. Or should I say late morning, as my kids sleep really late in the morning if there is no school? 🙂 Another healthy breakfast treat are these Gluten Free Breakfast Donuts! There are lots of fresh cranberries in this gluten free cranberry bread recipe. Their tart flavor balances so well with the chocolate chips! 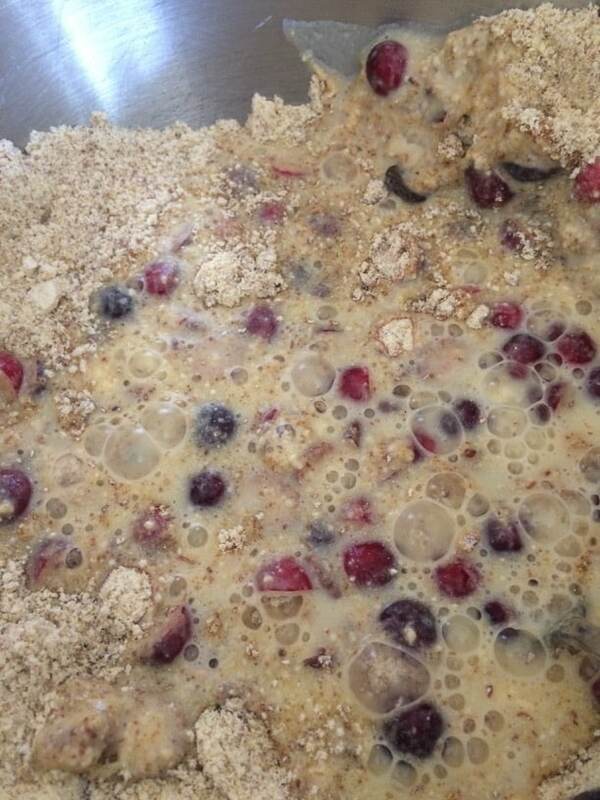 Mix up the wet and dry cranberry bread ingredients. You will see more of the steps in the video below! *TIP: one secret to keeping gluten free sweet bread to be light and fluffy is to “just” mix the batter. Don’t over mix it, or it won’t be as light! Add chopped nuts like pecans or walnuts! 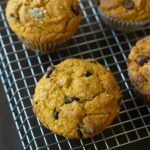 If you need this to be nut free, skip the almond flour and add 1/2 cup additional gluten free flour blend. Add other fruits like blueberries. You can use any fruit to enjoy year round when cranberries are not in season. Smashed banana adds more sweetness. After I put the batter into a greased baking dish, I ground some cinnamon sugar over the top. This gives the top of this cranberry nut bread loaf a nice little sparkle. If you are keeping the sugar down, feel free to skip this step. How long do you bake cranberry bread for? I bake this cranberry bread loaf for about 40 minutes. To test and see if it is done, insert a toothpick into the center of the loaf. If the toothpick comes out without crumbs or batter, that means your gluten free cranberry bread is finished. 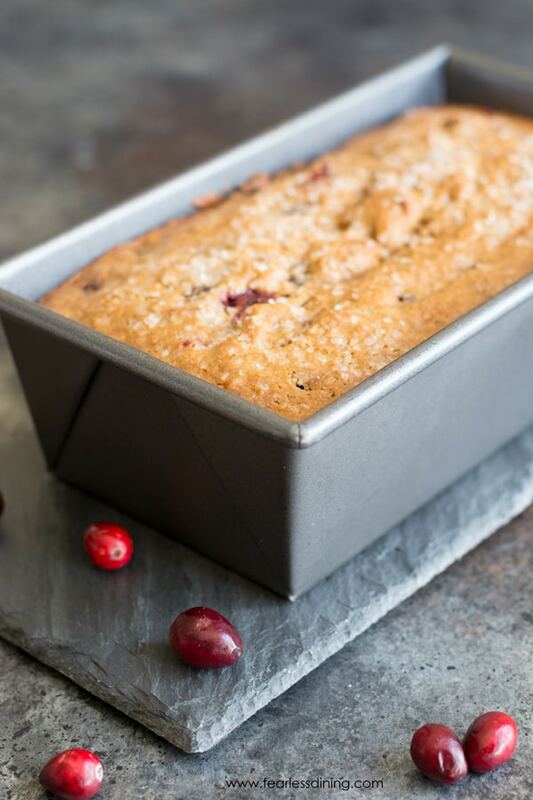 Watch how easy this gluten free cranberry loaf recipe is to make! Are you ready to make your own gluten free cranberry bread? Loaf pan, this pan is a perfect size. You may want to double the recipe so you can freeze one loaf for another day. Gluten free corn flour. I like this one because not only is it ground very fine for baking, but it is certified gluten free. 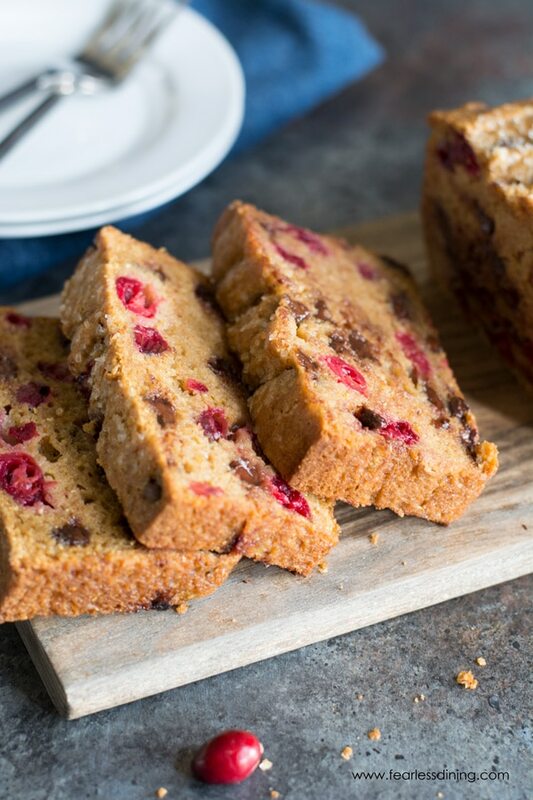 This adds a little extra flavor to this gluten free cranberry loaf. Gluten free cranberry and chocolate chip bread is healthy enough for breakfast. In a small bowl, add all wet ingredients. Mix then add cranberries, chips, and nuts. Pour batter into loaf pan and bake for 30 minutes until done. 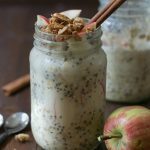 Here are More Yummy Breakfast Recipes to Try! May I leave out the choc? And may I use a flax egg instead? I need to try making this Cranberry bread for breakfast, it looks so good. Thanks for the recipe. Yummy! This looks absolutely delicious! I have to try this and I can’t wait to have this bread fill my kitchen with its fabulous smell! Yum, cranberries sound so good in everything this time of year! I have to avoid corn, but I’m sure this recipe would work with a different flour replacing the corn flour. A tip relating to Susie’s trouble with baking time: using an instant-read digital thermometer has really helped me identify the right time to pull baked goods out of the oven. Depending on altitude, the temperature for most baked goods is in the 190 – 205F range. You can definitely just use a gluten free flour blend that doesn’t contain corn for this recipe 🙂 Just note that if your blend contains xanthan gum, omit the teaspoon listed in the recipe so you don’t double up on it. I just made this delicious loaf but had some issues. I baked it for 35 minutes and it still wasn’t firm on the inside. Was the time in the recipe incorrect? Should it have baked 40 minutes or more? Anyone else have trouble with the timing? Hi Susie, gluten free flour can affect baking time. If a gluten free flour blend has a lot of dense flours, it can definitely need more baking time. Did it turn out okay once you baked it more? This is s a very creative recipe. I really like home made breads ant this one is going into my recipe book. G’day Looks to be a healthy recipe indeed! Great photos! Oh my, I’m drinking my afternoon cup of coffee now and it’s begging for this!